The final flag has been yanked…the final putt has been sunk…the final trophy has been hoisted. We’re now officially looking at the 2010 PGA Tour season in our rear-view mirror. Am I the only one who feels a bit sad right now? It’s been a topsy-turvy year…full of big surprises, huge disappointments, a boatload of controversy, a handful of mind-bogglingly stupid rules infringements and more than a few nail-biters and startling conclusions. As a golf fanatic it’s been a pretty entertaining ride. 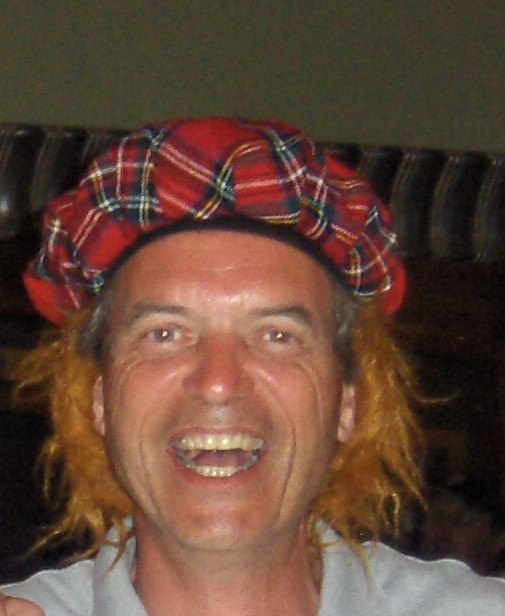 And, I have to say that my own personal enjoyment of the 2010 season has definitely been enhanced because of my participation in this column on CanadianGolfer.com. Being able to throw some words and a few jokes together to share with you every week has been a great source of fun for me…and I hope, on at least a few occasions, I’ve managed to put a smile on your face, provide you with some moments of quiet reflection, give you a fresh insight into looking at tournaments and players, or maybe even provoke a bit of outrage. Any emotion or reaction at all would do. When the powers that be at CanadianGolfer.com first asked me to participate in this column, my experience in the field was quite limited, if not altogether non-existent. True, I’ve run a pretty successful golf pool for around the past 20 years…and I’ve always tried to add a few crafty quips and interesting tidbits when I send out the weekly updates to our members. I’ve also racked up a fair bit of experience writing in various formats…mostly for broadcast or marketing and advertising. But never as a weekly columnist, with deadlines to hit and followers to satisfy. (I’m not actually sure that I have any “followers,” let alone satisfied ones…but it seemed like the thing to say). Whether this little venture has been successful to any degree, or a dismal failure is really up to everyone else, but me, to determine. Mostly you, the readers…and the owners of this site, of course. Somewhere, in the back of my head, I envisioned the guys at CanadianGolfer reading my first article and then scrambling frantically all season trying to find a replacement as fast as possible. They engaged the services of the now-legendary “infinite number of chimpanzees sitting at an infinite number of keyboards,” but unfortunately the best the chimps could come up with were the lyrics to three Eminem songs. For my own part, I’ve really enjoyed the experience…and the opportunity to do something I really love on a regular basis can’t be considered anything but a ”win” in my books. I love golf. I love writing. I love making people laugh. We each have to do so many things we don’t like or don’t care about in our working lives that having a chance to do something like this is definitely to be savoured. To put the wraps on our season, it’s time, for the last time, to see how last week’s predictions panned out. Based on both of our results, it’s probably just as well that the season is done with, because we certainly went out with a fizzle, rather than a bang. Brutal isn’t it? So much for going out riding a wave of success. Since I didn’t come into this column with an impressive pedigree in anything remotely close to being a successful Fantasy Golf prognosticator, I wanted to show, in some way, that even if I weren’t an expert in the area, a reasoned, reasonably intelligent, thoughtful approach to picking hopeful winners each week was superior to random chance. Of course, writing with the smooth grace of a squirrel on diet pills…and packing more inane, irrelevant and irreverent comments per sentence than any other fantasy golf scribe in print or cyberspace are also differentiators. You won’t find this kind of crap in Golf Digest or on pgatour.com friends. And so, I came up with the idea of Daughter and Dartboard. Kind of a cutesy idea, maybe a little nauseating to non-dads…but one which creates a foil each week for my own picks. As close to random chance as I could make it…with the added bonus of personalizing this competitive, random counterpart by getting my little girl to make the random selections. And YES…her selections were actually accomplished by throwing darts at the pairings lists every week. And NO…she doesn’t follow golf in any way, OR play darts. In fact, it would quite often take 3 or 4 (and occasionally more) sets of three darts, before she managed to land 3 of them on the sheet. After watching her perform this task almost every week, my son could launch a very successful career as a professional eyeball roller, if he could only figure out how to make money at it. And, being the genius that he is, he probably could figure that out too. So, now that the season is over, I guess we should see if my premise actually worked. Was my time-consuming, non-expert research each week actually better than random chance…and if so, was it superior enough to justify the effort versus simply lobbing darts, tossing dice or drawing names out of a hat? Again, since it’s very difficult for me to be objective about an experiment I was part of, I guess that’s up to you to decide. And so, with all of the stats revealed and the season now having passed into the history books, it’s time to draw this column to its’ unnatural conclusion. Before I go, I’d like to thank Robert and Jeff from CanadianGolfer for asking me to join their team this season. Special thanks also to my old friend and golf pool member Steve Waxman for planting that idea into their heads. And, I would be the world’s worst dad if I didn’t offer a heart-felt thanks to my daughter for her weekly contributions and lunges at the dartboard. Last, and certainly not least, thanks to YOU for taking the all-too-valuable time out of your week to read this column. I hope you’ve enjoyed it…and had a few laughs along the way. And, if you were one of the handful of folks who took the time to write a comment on the boards or contact me directly about an article, thanks VERY much for brightening my day by reacting to something I wrote. Most times, articles are posted and the reaction is the sound of one hand clapping…so hearing back from readers is a real treat and makes all the work that goes into creating a piece like this worthwhile. Whether I’ll be returning next season or not is uncertain. Regardless, I had a total blast and loved every second of it. Being part of this site was definitely one of the high points of my year…and I’m grateful for the opportunity. With kindest regards and many thanks. Next postHappy New Year…and Book ‘em Danno! The column has been terrific all year… looking forward to more in January! Very entertaining. I read a lot of golf and your weekly is one that I never miss. Looking forward to reading you again in 2011. You had better not let Svenny down. Me neither!